When it comes to breeding a dog to maximise their obedience, strength and agility, Dog Security has you covered. While detailed training is cornerstone for producing a formidable yet professional security dog, excellent breeding can ensure you dog has the agility and the stamina to guard your property. 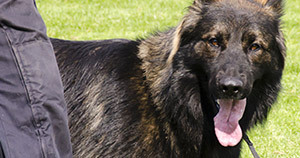 Our team is highly experienced is selecting and combining the right breed of dog to ensure your security needs are met.